There are items found in most homes that shouldn’t be there, seemingly insignificant products that we keep for a rainy day but rarely use. It’s important to recognize when it’s time to throw out older products, in order to make space in the home and to minimize the potential environmental issues associated with holding on to older products for too long. 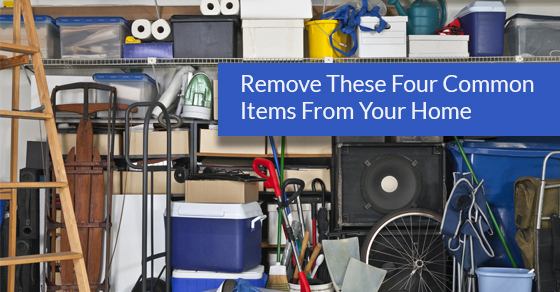 In this latest post, our bulk trash removal experts highlight four items found in nearly every home that shouldn’t be there. Many families hold onto their old electronics for several years. In spite of the fact that these systems have little value, they’re held in basement spaces and in storage areas around the home. Old electronics often feature dangerous elements and should be removed from your home at the earliest convenience. With the decorating stages of your move long over, there’s no need to keep that old paint you used for the kitchen. While it’s placed in the basement space or some out of the way corner of your home, it can degrade significantly, potentially releasing toxic chemicals into the environment. It’s important that you look for safe ways to dispose of old paints. Speak with your local specialist about the the junk removal process. Those old children’s toys have little value now that your kids have all grown up. But many homeowners keep their children’s toys locked away in their basement or in an unused bedroom. It’s time to remove old toys from the home. Speak with your children about any toys that hold particular memories for them, and ask them if they’d like to have them before you contact the junk removal company. Remember also to check throughout the home for older toys that might have been misplaced. We store batteries in cupboards and drawers throughout our homes, but in many cases these products have either worn out, or they simply don’t offer the required performance, hence why they’re not in use in the first place. Batteries can leak over time if they’re not removed safely from the home, and they are often made with mercury, which can be dangerous when released into the living space. Make sure all old batteries are safely removed from your home! Our expert team is here to guide you on the bulk trash removal process. To learn more about items that should be removed from your home, contact us today! This entry was posted in Junk Removal on October 25, 2017 by Junk King. Last updated October 12, 2017 .